I've been working with web applications since the 90s, and over the years I've heard many buzzwords which mean "Host your application on system which is run by someone else". The latest buzzword is 'Cloud'. What is the difference between "Cloud" applications, SaaS (Software as a service) and ASP (Application Service Providers)? Isn't there alot of overlap between these definitions? Sometimes I'm speaking to an executive who keeps saying "Cloud" when I would use the term ASP. I've worked for an organization who did ASP, another who did SaaS, and now another organization who says "Cloud". But they all seem very similar to me. 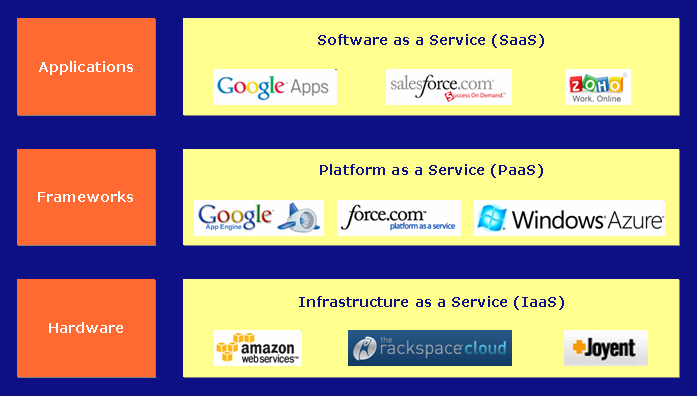 What distinguishes Cloud vs Saas vs ASP? Are there any official definitions for each of these terms? Questions on Web Applications Stack Exchange are expected to relate to web applications within the scope defined by the community. Consider editing the question or leaving comments for improvement if you believe the question can be reworded to fit within the scope. Read more about reopening questions here. If this question can be reworded to fit the rules in the help center, please edit the question. For more information check out this blog post about how Cloud computing compares vs traditional dedicated servers or VPS/VMs. or this post specific for Azure terms and definitions. From my understanding all SaaS models essentially utilize the cloud because they are not hosted on the client's server. However, all apps in the Cloud are not necessarily SaaS apps. Cloud Computing is a utility based model. That utility can be hardware (IaaS), software (SaaS), or OS (PaaS) like Azure etc. It's different from ASP as it's hosted else where in any of the cloud providers’ datacenters and you "Pay as you go". Don't have to pay more/less, pay only for what you use. This is SaaS. So ASP is just hosting where as SaaS is metering + billing as you utilize. The resources are provided on demand like VM's, CPU cycles, storage etc. Not the answer you're looking for? Browse other questions tagged cloud saas or ask your own question. On Demand Cloud Audio Transcription service? When I use a web app that converts a bitmap to a vector, is the task run locally or in the cloud? Is there a SaaS for checking uploaded files for viruses? Is Redmine limited to being installed on your own servers only? No cloud plans?